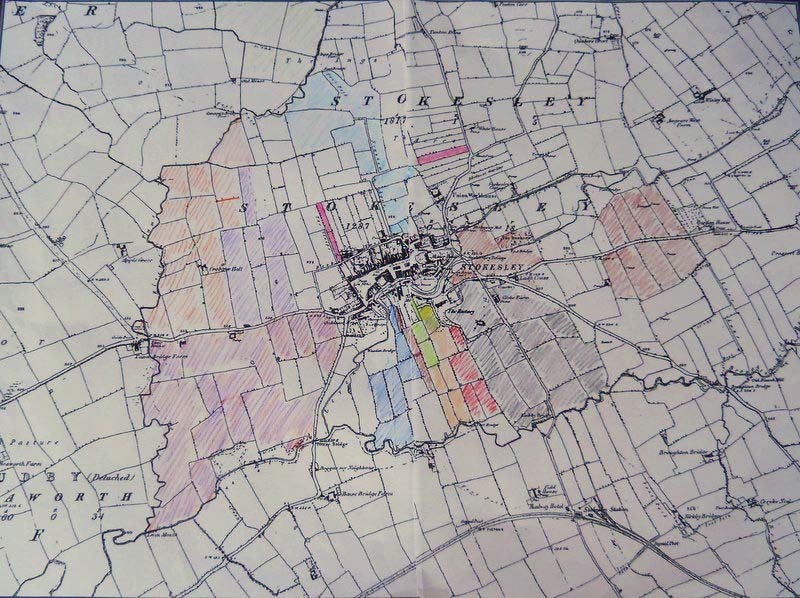 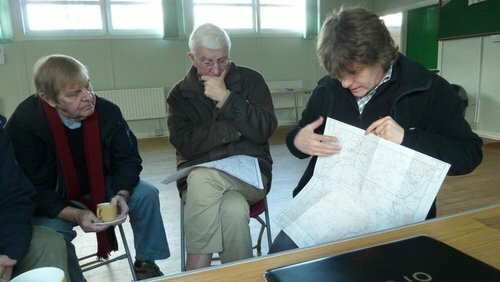 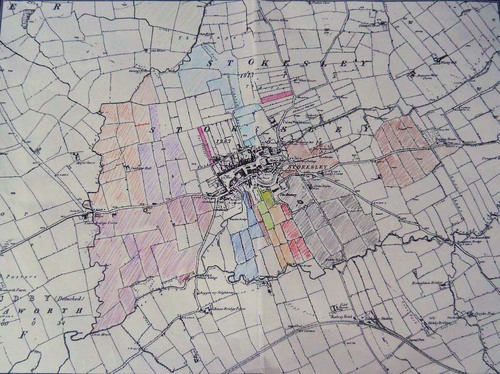 The December workshop included discussions on the historical ownership of Stokesley lands, with David Maudsley showing a map of land ownership which he had reconstructed from the Tithe Apportionment, and on early routeways, especially as used by pannier-men, with Chris Taylor giving an account of his findings to date. 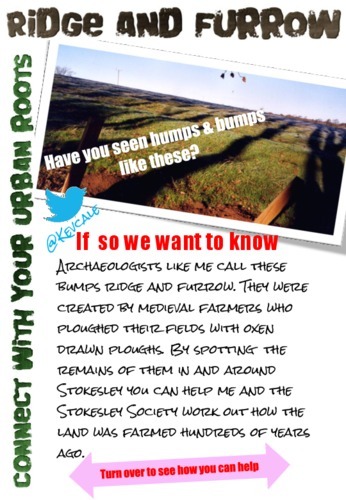 We also discussed the issues associated with historical Stokesley river crossings including the several fords, which it was felt might well be more crucial to the growth of trade than was the later but better known Packhorse Bridge. 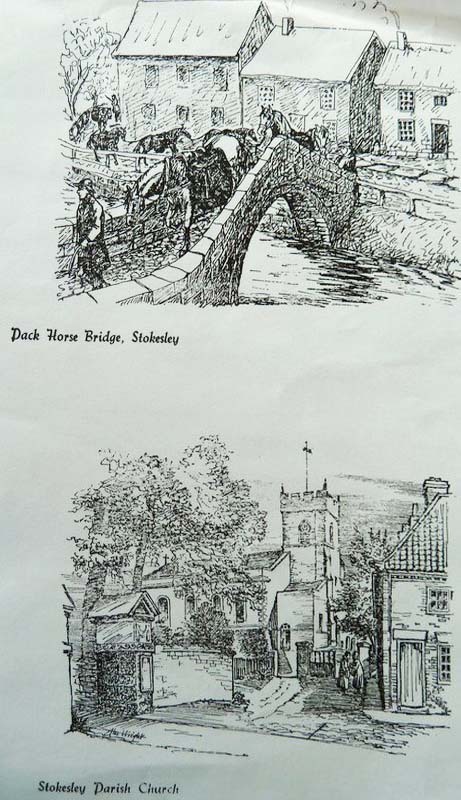 Some pictures were produced which showed the importance of the fords almost within living memory. 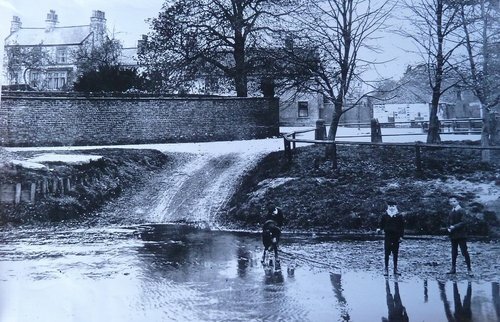 Kevin Cale spoke about the Mill Leet which was situated to the east of the town, and reported the opinion of an expert to whom he had spoken on the subject. 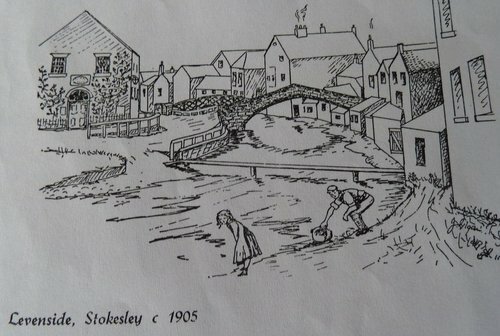 This was to the effect that the length and the directness of the channel, coupled with the positioning of the mill, make it very likely that this was location of the mill mentioned in Domesday Book.